The Reverend Jebidiah Mercer battles zombies in Mud Creek, a town in East Texas. The town doctor has copies of The Necronomicon, Mysteries of the Worm (aka De Vermis Mysteriis), Nameless Cults, Caballa of Saboth, Cultes des Goules, The Black Book of Doches, and Compendium Maleficarum. 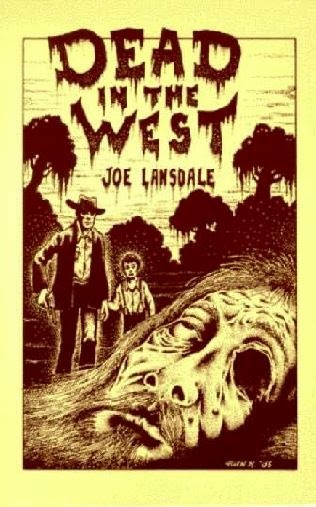 This short novel by Joe R. Lansdale is reprinted along with the other Reverend Jebidiah Mercer stories in Deadman’s Road, Subterranean Press, 2010. The references to various books from the Cthulhu Mythos bring the Reverend into the CU. The town of Mud Creek appears in a numbers of Lansdale’s novels and short stories, including “Bubba Ho-Tep,” which takes place in the CU due to a reference to tana leaves from Universal Studios’ original series of Mummy films. Is the Black Book of Doches a Mythos tome? Or is a real occult tome like the Maleficarum? Do you know? I tried googling it but it keeps chaning Doches to Douches. Okay, thanks. I got better results when I googled the title along with Joe Lansdale. No article on women's health devices that time.